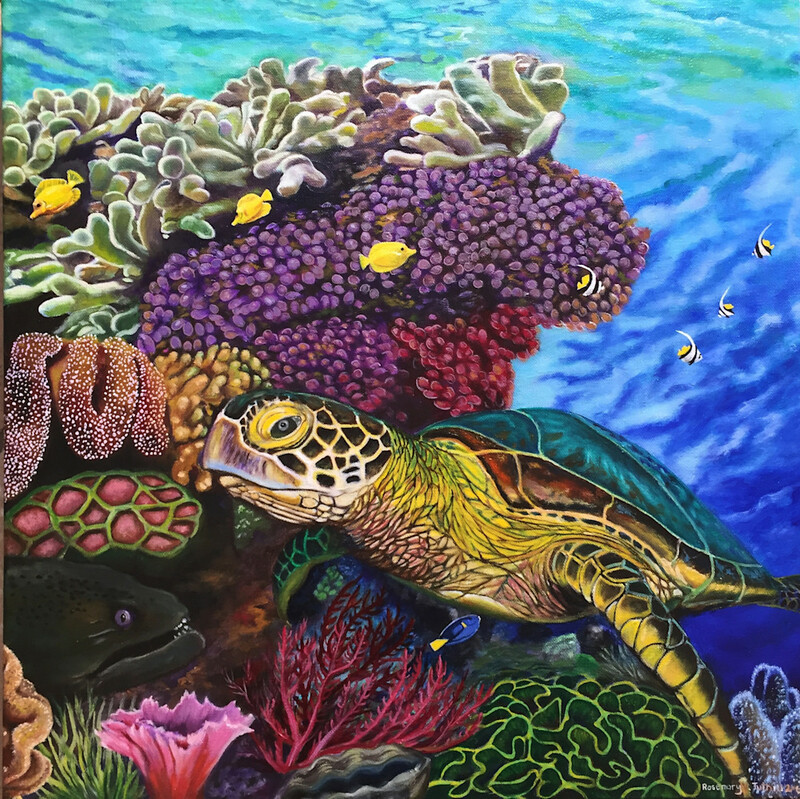 This 20x20 oil painting is a colorful ocean scenery with a Green Sea Turtle an ominous Eel, surrounded by colorful plants and small fish. A colorful ocean scenery with a Green Sea Turtle an ominous Eel, surrounded by colorful plants and small fish. The oil painting is 20x20. A colorful ocean scenery with a Sea turtle an ominous Eel, surrounded by colorful plants and small fish.